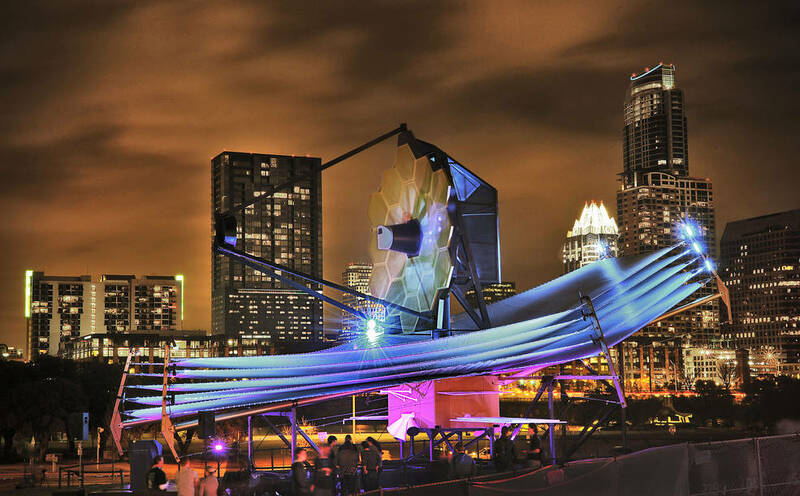 February 25, 2016 – The year 2015 marked big progress on NASA’s James Webb Space Telescope and there are still a number of large milestones before the next generation telescope is launched in 2018. Recently, all of the 18 segments of the Webb telescope primary mirror segments were installed on the observatory’s backplane at NASA’s Goddard Space Flight Center in Greenbelt, Maryland. But that’s just one component of the Webb. Testing is a continuous part of the assembly process. “After the mating of the ISIM, to the Telescope there will be a room-temperature optical check before a simulated launch environment exposure,” Geithner said. That means the observatory will undergo vibration and acoustic testing to ensure it can endure the sound and shaking that occurs during launch. After those tests, there is yet another room-temperature optical check. Once all of those milestones are accomplished, the observatory will then be prepared and flown to NASA’s Johnson Space Center, Houston, Texas. Once at Johnson, the observatory will endure end-to-end optical testing in a simulated cryo-temperature and vacuum space environment in Chamber-A. Chamber-A is NASA’s giant thermal vacuum chamber where the Webb telescope pathfinder or non-flight replica was tested in April 2015. After NASA Johnson the Webb telescope will be then transported to Northrop Grumman in Redondo Beach, California where engineers will connect the telescope and instruments together with the spacecraft and sunshield to form the complete Observatory. Once every component is together, more testing is done. That testing is called “Observatory-level testing.” It’s the last exposure to a simulated launch environment before flight and deployment testing on the whole observatory.